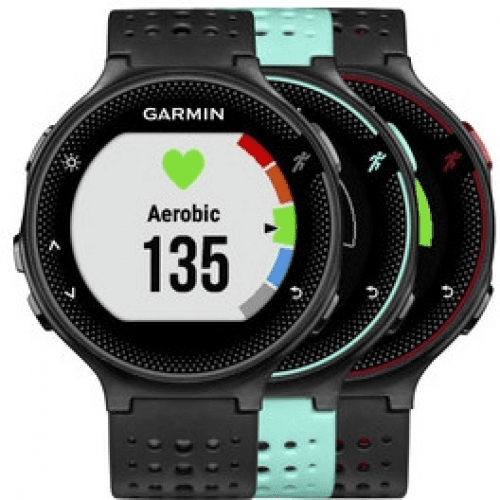 This smartwatch (AKA Garmin 010-03717-54) tracks activities continuously with a 9-day battery life (GPS off), but narrows down to 11 hours when GPS-tracking is enabled, while it easily records your active and resting pulse rates using a built-in optical sensor, which seems favorable compared to a chest strap monitor used by other brands. 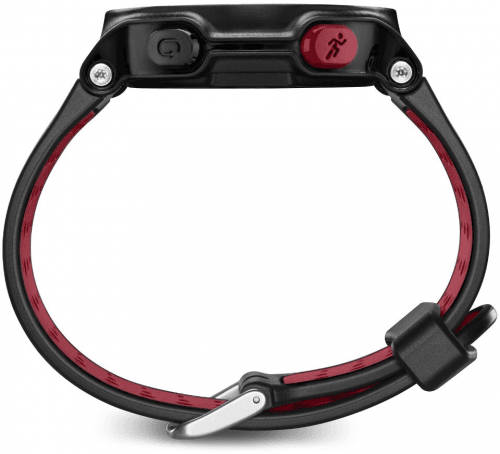 Besides, it also holds a 5-ATM waterproof protection as one of its notable features. Also known as: Garmin 010-03717-54, Garmin 010-03717-48, Garmin 010-03717-70. Compare Side-by-SideCompare it with similar smart watches. 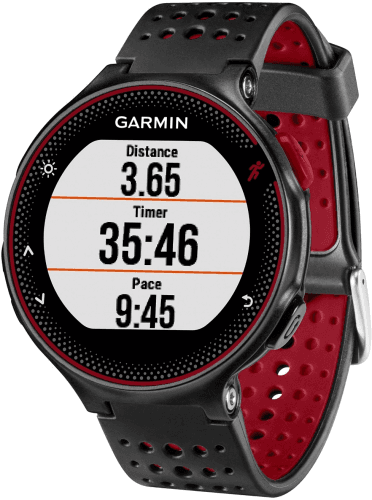 More Garmin smart watches See all the recent Garmin smart watches.